The BCD-2000 is a powerful Vacuum Fluorescent Display which provides a wide viewing angle, long life, high reliability and high display quality. 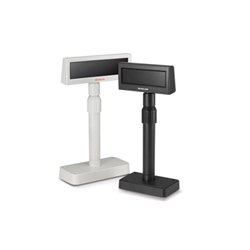 It is designed to improve image and service with an enhanced customer display, from PC-based POS applications. It is for use with ECR/POS systems, to display the purchased price and the amount of change to the customer.